Check out my picks of new releases from February! Featuring stories of humor, sensitivity, and unlikely heroes, you don't want to miss these! Spring “changes its mind a lot." As a New Yorker, the coming of spring can be...well... frustrating. It can be warm one day, cold and rainy the next, and sometimes it feels like it will never come. 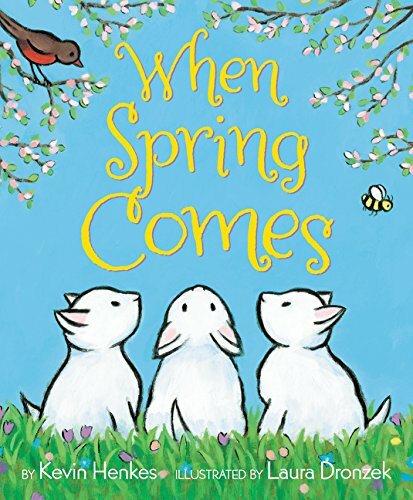 Henkes acknowledges that feeling, unlike some books about spring, and does so with a dry wit, while encouraging patience. The reward?Witnessing the lush, wondrous transformation into Springtime on full page spreads. "I don't think you're taking this very seriously. You ought to, you know. Bears can be VERY dangerous... NOW are you paying attention?" 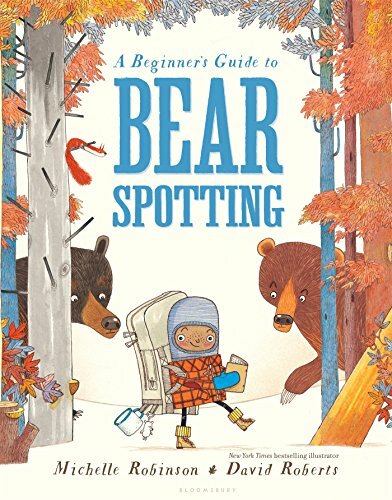 A brightly-colored, cartoonish picture book that is reminiscent of Hitchhiker's Guide to the Galaxy, just imagine a snarky British narrator "guiding" the young hiker as he tries to survive a bear encounter. The solutions are creative and humorous (but not to be used in a real life). "The wise owl had appeared overnight, as if by magic." 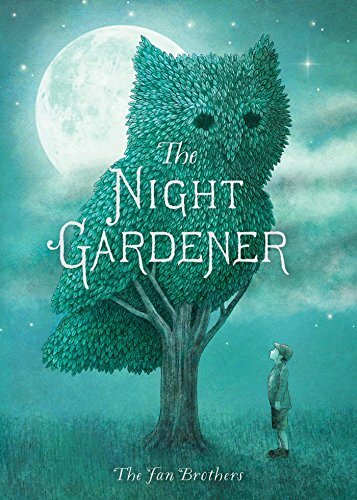 A quiet story drawn in pencil, a small town comes alive due to the work of the Night Gardener, who creates magnificent tree sculptures during the night. As the work gains fans, orphan William seeks out the mysterious magician. The contrast between the colorless, ordinary day, and the deep greens and blues of the night and the tree sculptures is lovely to see. "[E]very morning, when keys clicked and shoes clacked, Gus crawled out of his cave and spent his days with Ida. Ida was right there. Always." 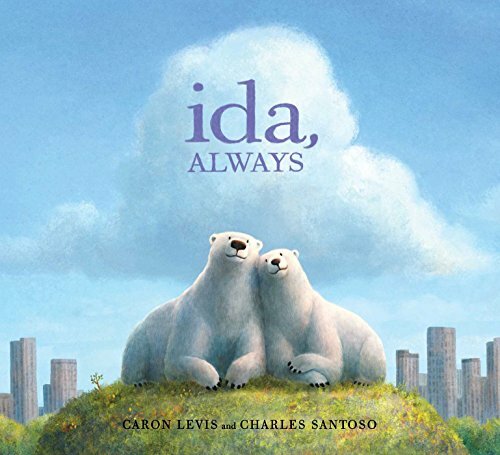 "Inspired by two ­real-life polar bears, Gus and Ida, who were residents of New York City’s Central Park Zoo, this wonderful story about the loss of a loved one is beautifully told. It’s an example of children’s books at their best." Dan Yaccarino, NYT Book Review. 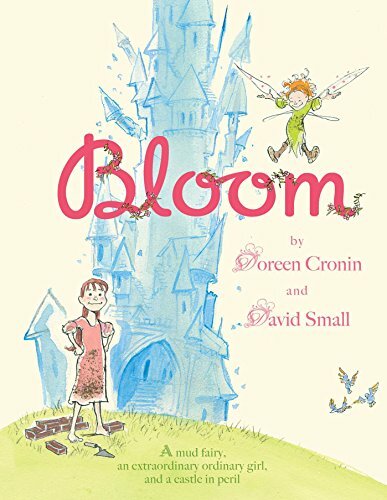 With old-fashioned storybook illustrations, this is a fairly simple, yet refreshing original fairytale. I enjoyed the way this book played with different text sizes and styles to lend characterization and emphasis. Good for beginning readers. 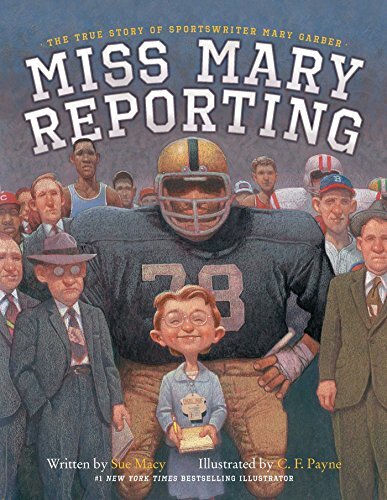 “[She played tackle] football with the boys…over rough and rocky ground…and of course, she was the quarterback.” The true story of Mary Garber, the pioneering female sportswriter, who faced the odds to cover the games she loved with thoughtfulness and fairness. The illustrations do a good job emphasizing Mary's tiny, distinctive frame amidst tall, burly players and stoic male peers. An inspirational story for all.